Barcode Discount has an assortment of Library Barcode Scanners that can simplify your check-in and check-out process, while helping manage your book inventory levels. 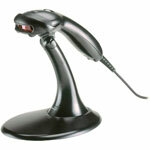 Our library barcode scanners are designed to be placed on the counter and quickly read ISBN barcodes. Additionally, our library barcode readers can integrate to work with Follet or other library management software. Simply call one of our experts to help you find the right scanner for your library. LS 1203, USB kit, 1D Laser. Includes USB cable. Color: Black. 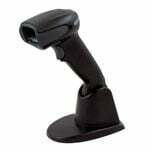 Touch TD1100, USB Kit - Touch 65 Lite - Color: Black - Includes USB cable and holder.